K Tigers Zero Byun Hyun min will hold special birthday fan meeting! Byun Hyun min will hold a birthday fan meeting. The agency, K-Tigers E&C said "Byun Hyun min will hold a fan meeting at Pomtek Works Hall in Hapjeong Station on the 14th and meet with fans," on the 2nd. 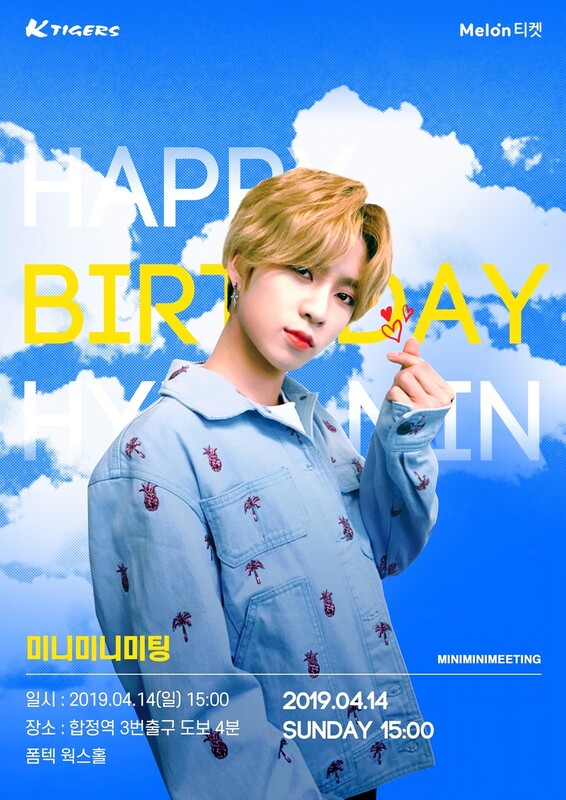 The fan meeting is a birthday fan meeting organized by Byun Hyun min, who celebrated his birthday on April 17, and The name of the fan meeting is "mini-mini-meeting." Byun Hyun min appeared in season 2 of "Produce 101," is showing off his unique charm with his K-Tigers Zero as well as his Rainz activities. Currently, Byun Hyun min is set to debut as K-Tigers Zero, a group reorganized into a 12 members, and plans to carry out his debut project through K-Tiger’s official YouTube channel "K-Tiger's TV." Details of the fan meeting, including how to apply for participation in Byun Hyun min's "mini-mini-meeting," can be found on the official K-Tiger SNS page.